If you are planning a visit to Geneva-on-the-Lake, OH, you should request our free guide to the area. This area of Northern Ohio has so many things to do. Lake Erie is the perfect destination for a romantic getaway, exploring, or even just some “me time.” We want to share our suggestions with you! 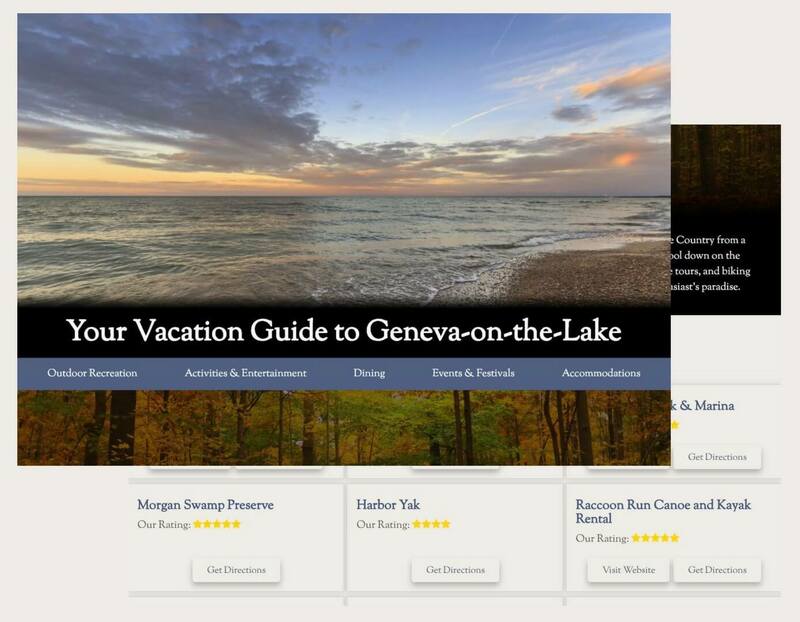 Simply fill out this form to access our complimentary Vacation Guide to see all that you can take advantage of in the beautiful Geneva-on-the-Lake area. Cultural Events & Museums and More! Already have your password? Access The Lakehouse Inn Vacation Guide below! Simply enter the password here provided in your email to see all there is to do in the beautiful Geneva-on-the-Lake area. If you don’t have a password yet, please request it from the Vacation Guide form above!